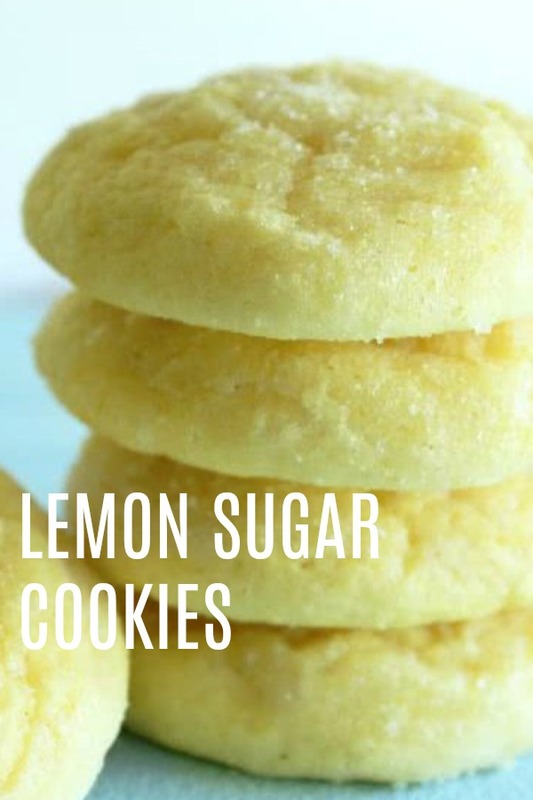 These Lemon Sugar Cookies are easy to make and full of flavor. They are the perfect spring or summer dessert. They are so light and refreshing, and unbelievably easy to make. My family constantly harasses me for not liking chocolate. I’ve never been tempted by a chocolate chip cookie, or a piece of chocolate cake, but place anything lemon in front of me and I can’t help myself. These Lemon Sugar Cookies were no different. I’m already planning on making another batch later this week. I am a huge lemon fan, and these definitely have my stamp of approval. They are extremely easy to make as well. They only require a few simple ingredients, you probably already have on hand. They are the perfect spring or summer snack, and have the yummiest citrus flavor to them. If you have never been interested in lemon desserts, I promise this one is one you are going to want to try. why is my dough sticky? There could be many reasons as to why your dough is sticky, which will be a problem when cooking. The number one mistake that people make, when making these cookies is the softened butter. A lot of people think this means microwave your butter, however, this is not what that means. Softened butter often means room temperature butter, which is what you will want for this recipe. You do not want to melt any of your butter. Plan ahead of time. We usually always have butter softened for our bread, or toast. When I need a quick cookie recipe, I will usually use that butter, instead of pulling a stick out of the fridge, and waiting for it to thaw. Cut it up into smaller pieces. If you did just pull our butter out of the fridge, you may want to cut it into smaller pieces and allow it to thaw a little better and quicker. Place it in the sun for a little bit. If it’s a warm sunny day, you could also put it by the window, in hopes of some solar warming. Again, you don’t want to melt it, but just have it soft enough that you could cut through it easily with a plastic knife. For this recipe, it’s also important you add the ingredients in the correct order. If you follow the instructions, and use room temperature butter, and add the ingredients as instructed, your cookies will be perfect. Nothing beats the taste of lemon in the summer! These Lemon Sugar Cookies are sure to be a hit at any get together! Cream together butter and sugar until smooth. Stir in egg and mix until blended. Mix in flour, baking powder, salt, vanilla, lemon zest, and lemon juice. Refrigerate dough for 20 minutes. Roll into one inch balls and roll in sugar. Place on baking sheet and press down slightly. Bake for 8 minutes or until slightly golden. Be careful not to overcook, they won't be as soft! I really wanted to love these cookies as I am a real lemon fan but sadly they did not work for me. I am a long time cookie maker so I know to chill my dough between batches and use cool pans but these cookies spread too thin. By the time they cooled they were almost flat. The taste is OK but appearance is just too sad to serve to guests. Disappointed. I don't know how many times I have made these cookies but they are delicious, chewy and perfect, they came out perfect every time and everyone who has tried them asks me for the recipe! I tried to make these cookies but it was a disaster. Dough was soft and sticky so difficult to roll. Cooled it longer. When baked, cookies went flat, did not get golden and basically glued themselves to the pan. I used parchment paper next but they still came out flat, too soft and sticking to the parchment paper. I made these cookies last week and my Husband and Son went crazy for them! they were easy and quick. Making again today as they can't get enough of them! Thanks for the recipe and I love your blog! Thanks Judy!! Thanks for your sweet comment. We are so glad your husband and son loved the cookies! Have a great weekend.